5) Black Warrior, Capo del Sur, Máscara Año 2000 Jr. b Mr. Electro, Trauma II, Villano V Jr.
Spartan lost his mask to Black Dragon. Spartan is Victor Montes Martinez, from Acapulco, 43 years, 23 years a wrestler. 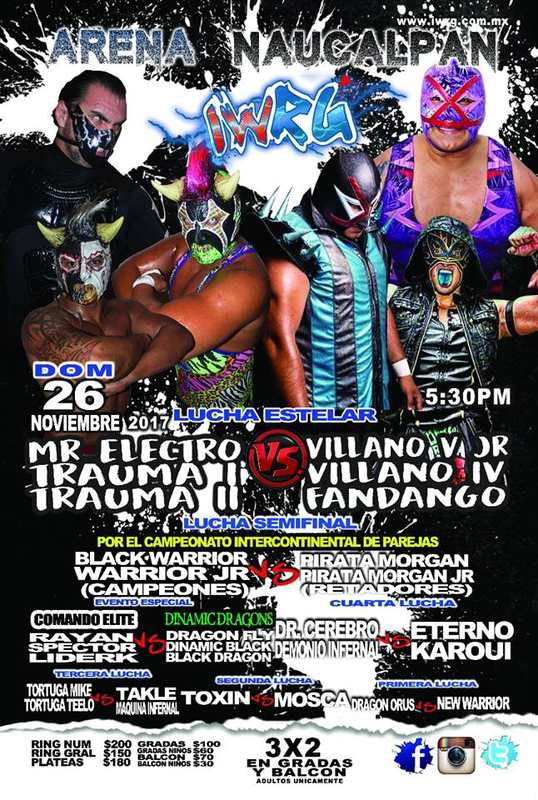 Black Dragon beat Diablo Jr to win. the titles. Diablos fall on their first defense. 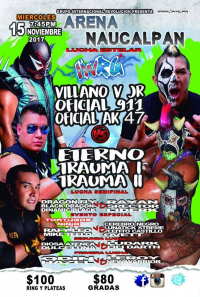 Villano V Jr. took a loaded shot to the head and bled a lot. straight fall win. 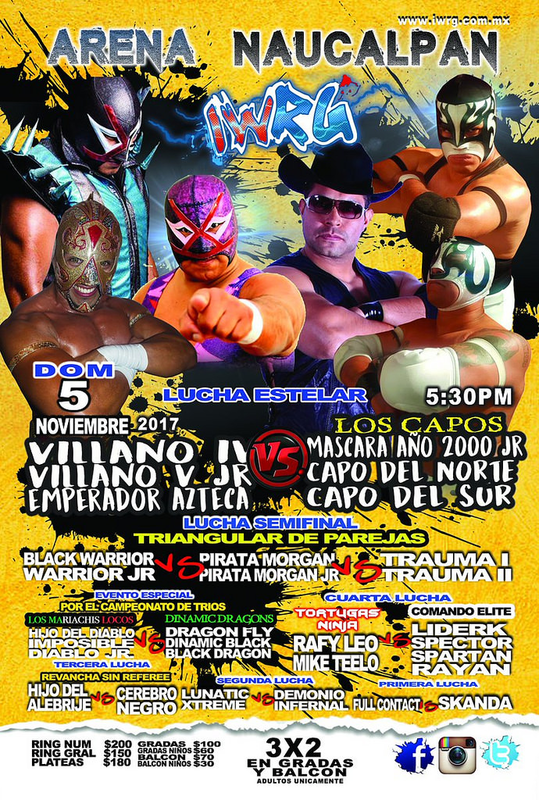 Dragon Fly was hurt, Tortuga Mike took his place but cost his team the match. Black Dragon and Mike fought post match. 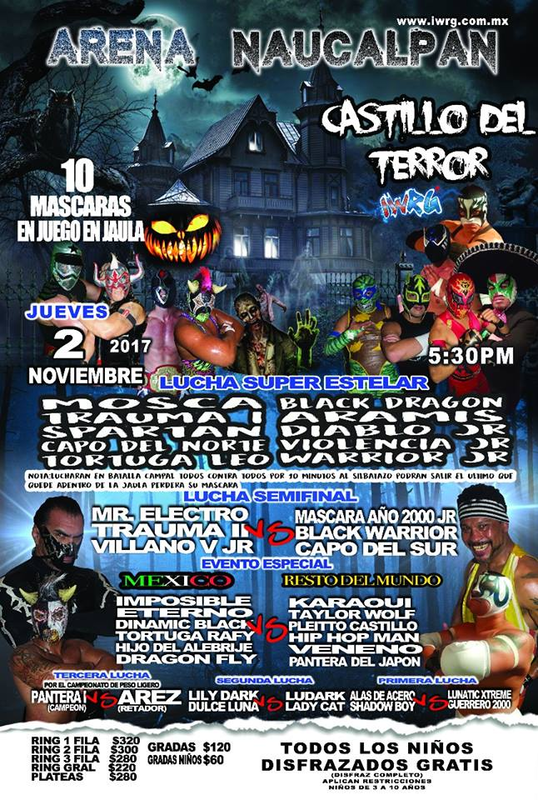 listed as Toxin & Mosca, the rare double no show. 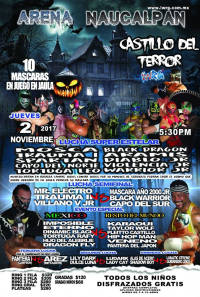 Fresero and Lunatik were added to the match. straight falls for the Comando Elite. The Tortuga Ninjas challenged them to a mask match. 2nd defense. 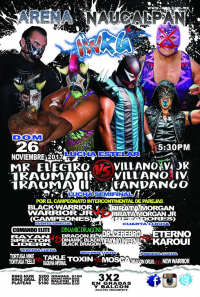 Warrior faked a chair shot from Pirata to draw a DQ. Straight falls. 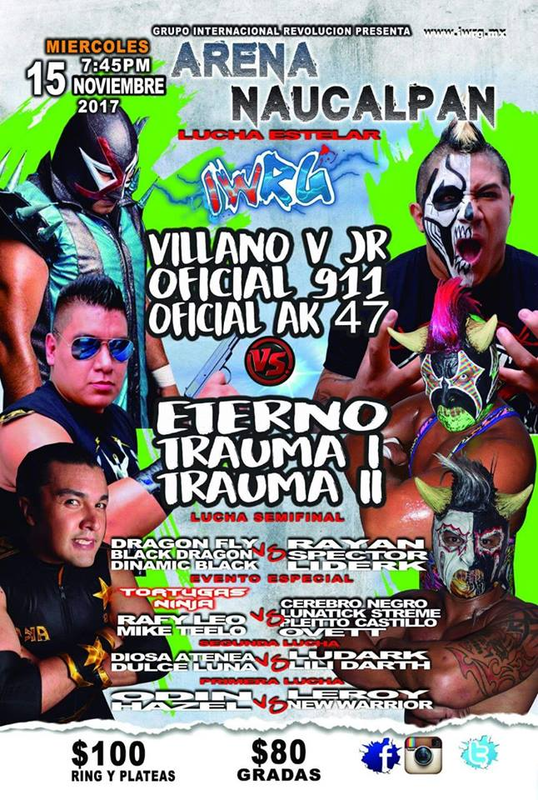 Electro gave a Villano V Jr. a martinete, and fouled V4 to win, then threatened Villano V Sr.. Fandango's IWRG debut.